Lubeh is a Russian rock band from Lubertsy, a suburb of Moscow. 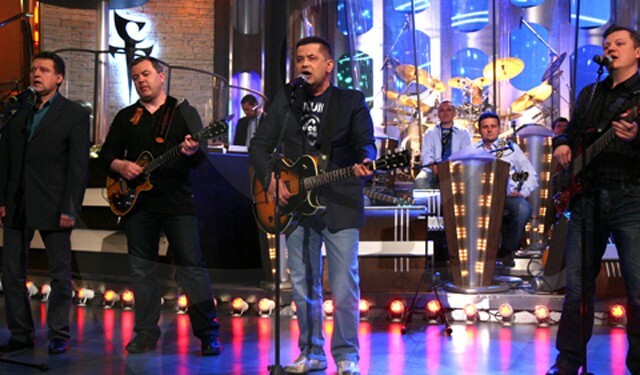 The band consists of Nikolay Rastorguyev (vocals), Vitaliy Loktev (keyboards, accordion), Aleksandr Erokhin (drums), Anatoliy Kuleshov (backing vocals, choral master), Aleksey Khokhlov (guitar), Pavel Usanov (bass guitar), Aleksey Tarasov (backing vocals), and Yuriy Rymanov (guitar). The band’s producer and main songwriter has been Igor Matvienko. Lubeh’s music combines elements of Western rock and roll, traditional Russian folk music and military bard music. Starting in 1989, they have released 16 albums. The band has six members, led by the singer Nikolay Rastorguyev, one of the People’s Artists of Russia. In the mid-1990s, the band surprisingly released an album of Beatles covers. The album Rasseya, released in 2004, includes a remake of one of their older songs and a rock rendition of the Hymn of the Russian Federation. Lubeh has only produced one song in English, called No More Barricades, which deals with Russian democracy. Lubeh is one of the few rock and roll groups whose audience garners a wide listening audience. Fans and concert-goers are from a wide range of ages, including seniors, teenagers, children and parents. At least one of their concerts has been attended by former Russian president Vladimir Putin who happens to be a big fan. Their name comes from that of the Moscow suburb of Lyubertsy, which during the late 1980s and early 1990s was a center of luber culture, whose values are in part reflected in Lubeh’s songs.